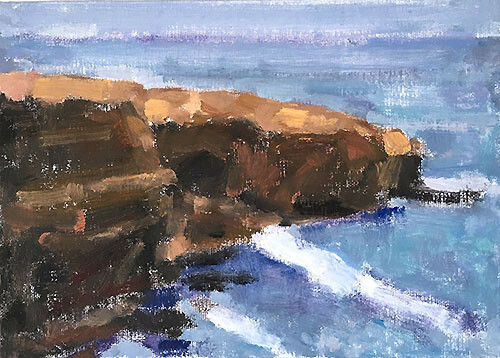 This spot along the Sunset Cliffs used to be a rock arch that collapsed during high seas a few months back. 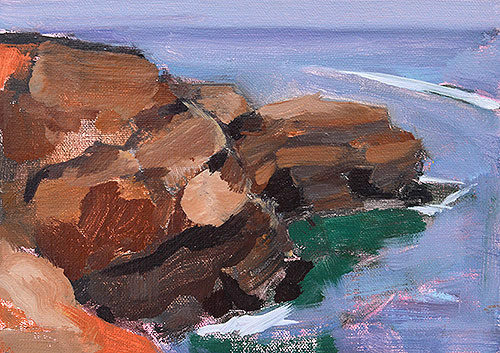 This entry was posted in Landscape Paintings, San Diego Paintings, Seascape Paintings and tagged 5 x 7 inches, california, kevin inman, OB, ocean beach, oil on linen on panel, rocks, san diego, sunset cliffs on June 27, 2016 by Kevin. 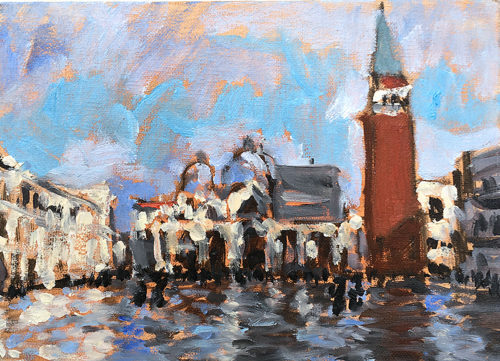 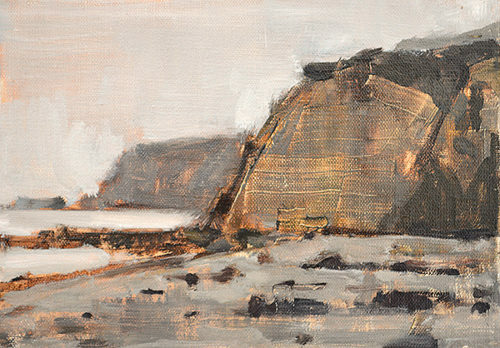 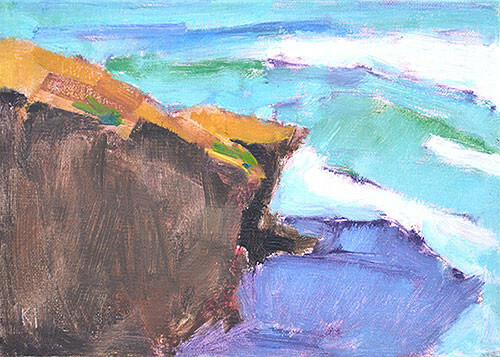 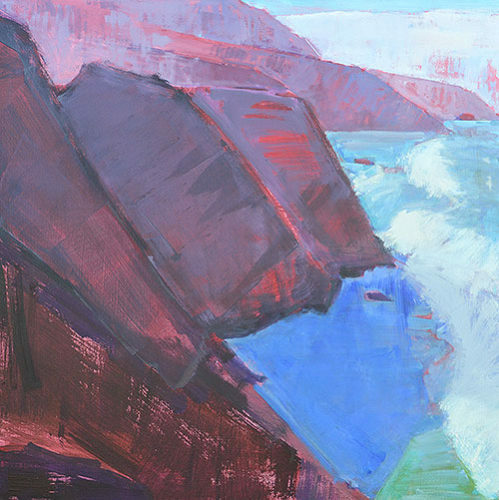 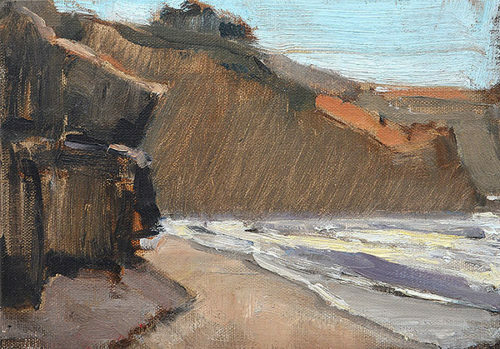 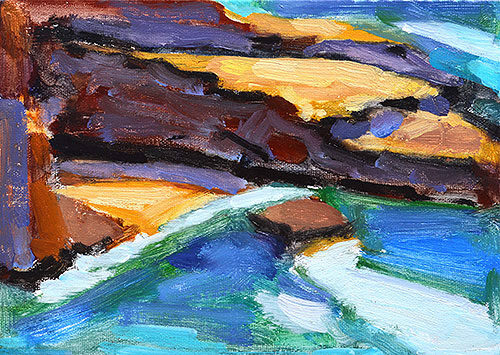 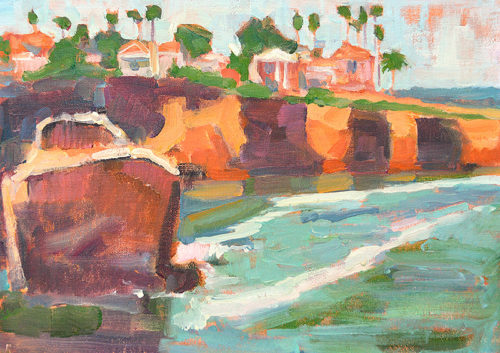 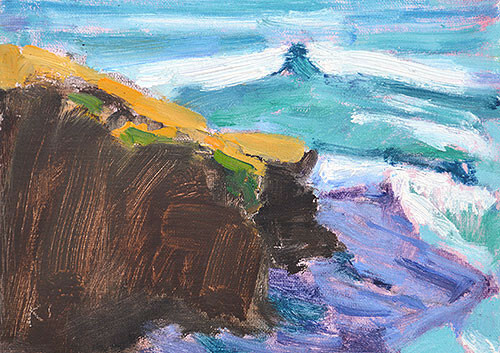 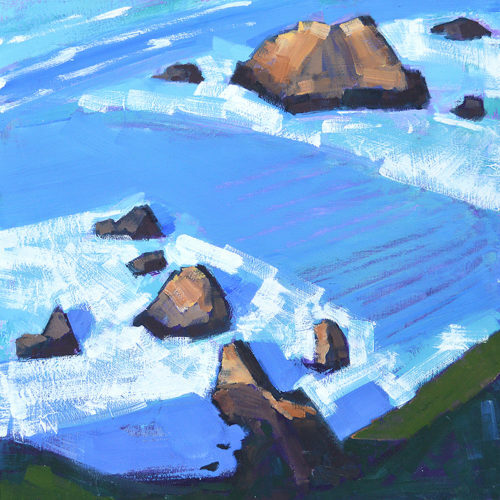 This entry was posted in Daily, Landscape Paintings, San Diego Paintings, Seascape Paintings and tagged 5 x 7 inches, california, cliffs, ocean beach, oil on linen on panel, san diego on January 28, 2016 by Kevin. 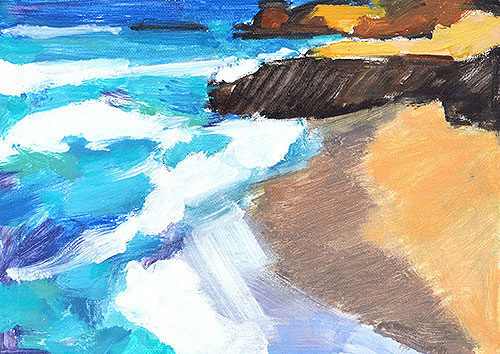 Painted this AM in Ocean Beach. 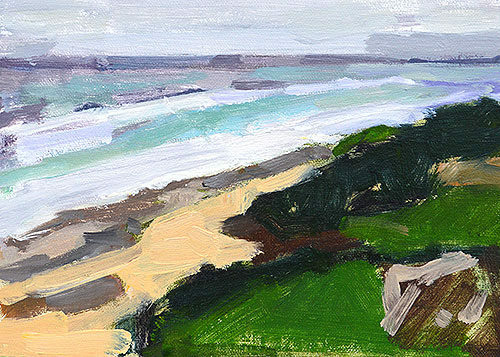 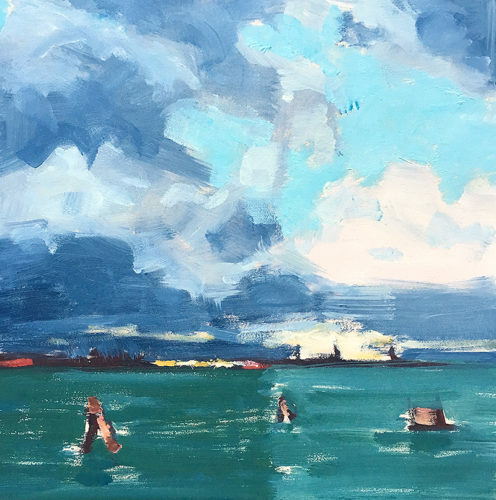 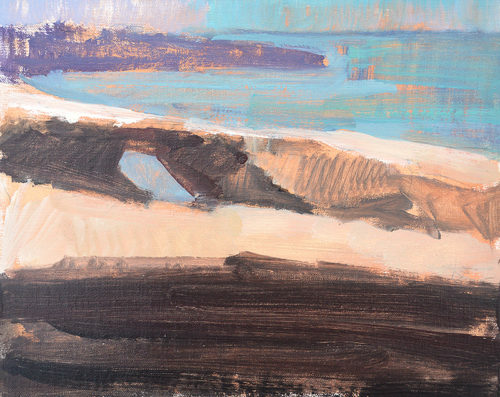 This entry was posted in Landscape Paintings, San Diego Paintings, Seascape Paintings and tagged 5 x 7 inches, california, ocean beach, oil on linen on panel, san diego, sunset cliffs on January 25, 2016 by Kevin.